Before we go much further, could you give us a little background on how TMG started, and what made you decide to jump into the gaming industry? I have always loved games, wanted to publish, so I just started. I thought about as much as I could conceptualize and then searched out the knowledge and experience I needed. We recently reviewed (and loved) Flip City. While both of us really enjoyed the game, we also saw a potential (if not a need) for expansions. Is there anything in the works to expand Flip City? I have personally found Flip City to be one of the most fulfilling games out of the box that I have ever encountered. Thankfully the designer is a genius and able to make more cards for the game. We have one expansion being printed right now (2 new buildings) along with a reprint of the base game. 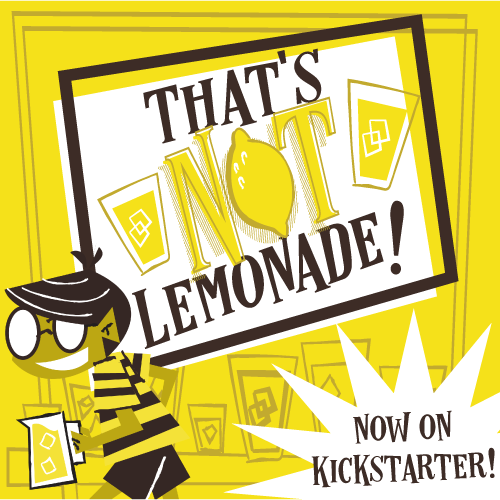 Will you be bringing it to market via Kickstarter? And when can we expect to see a campaign? It will not be coming to Kickstarter. We are trying to utilize Kickstarter less and release more of the awesome games in our pipeline. So, Kickstarting a game will become more and more rare for any TMG title in particular. We also just recently reviewed (and once again loved) Gold West! You've really been on a roll with some great titles. *coughAquaspherecough* How do you go about choosing and obtaining titles? And is there a channel for designers to get their games in front of you? Everybody here at TMG really loves to play games, and we are always looking to bring the ones that we enjoy to gamers. I have not personally had a great experience quantifying what it is about a game, but we know it when we see it. One of the best ways as a game designer to get our game in front of us is to go through our trusted channels, which includes agents, designers, and developers that we have worked with before. Speaking of new games, when can we expect to see the eagerly anticipated Luna reprint? What games are hitting your table lately?New favorites? Any classics that never grow old? We have been playing many releases (and prototypes) that came from Essen in an effort to quickly be able to see if we would be interested in publishing or partnering on those games. If it wasn't for board games what else would you pass/fill your time with? Spending time with my wife and children. Cooking. Video games. Comic Books. Sleeping. Any other TMG news you’d like our readers to know about? Not really, if you like our games, then you should subscribe to our email newsletter. And if you haven’t tried one of our games yet, then I highly recommend it. Favorite die? D6? D8? D10 etc? If I am defending my home, then d4. Those things are caltrops baby!